The best deal and how most people get started is the Premium Starter Kit. 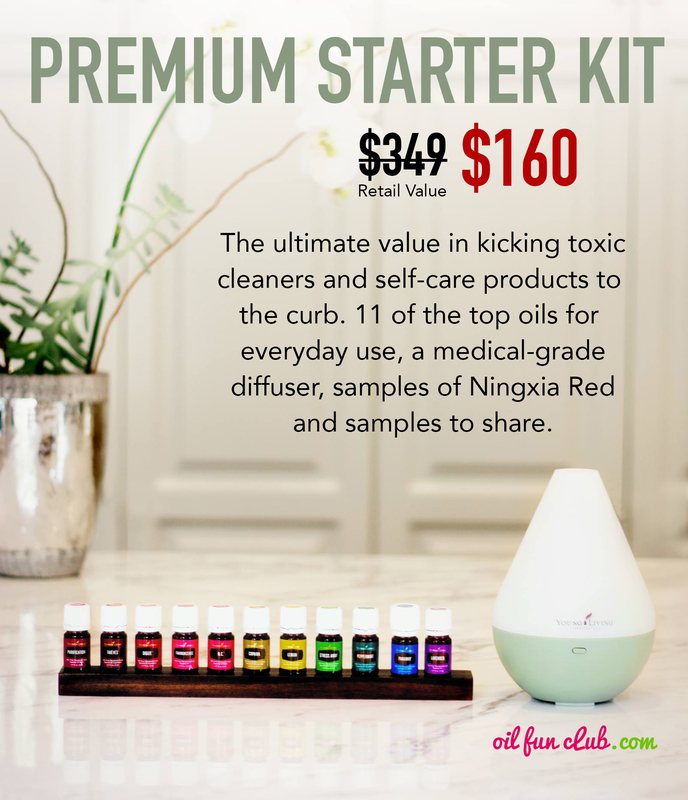 11 of the most popular oils, a diffuser of your choice, 24% off all 500+ healthy home products, and samples you can share with friends. We used to get sick all the time, and we’d run for Airbornne, Tylenol, Vicks, NyQuil, you know the “normal” stuff. I would beg the doctors to give my kids antibiotics, and would get irritated when they wouldn’t. We were at the doctors ALL the time. In the last 3 years that has completely changed. When we feel something coming on we run to natural things to support our body: essential oils, fresh green juice, quality supplements, epsom salt baths. The difference in our health is night and day. We’ve had no sick visits, no antibiotics. We don’t suppress symptoms. We support our body’s systems to heal itself. We help to remove toxins from the body and not put them in. We manage our stress and emotions by inhaling oils and applying to our bodies. Often times it is the stress that can cause our immune systems to plummet. We have swapped products in our home that contain toxins such as cleaning supplies, laundry detergents, soaps, and lotions that are known to contain carcinogens and hormone disrupters. Our cabinets are now filled with Young Living oils, supplements, and clean products. We recently had the kids go for well visits, and they couldn’t find us in the system. They had to re-enter all of our children. They haven’t had the “typical” ear infections, strep, nonstop runny noses and coughs, allergies, pink eye, etc. It might be “common” for kids to be sick, but that doesn’t mean normal and we have a choice. "No matter how badly it gets abused, the body can restore balance. The first rule is to stop interfering with nature." I am beyond grateful I crossed paths with essential oils. Now with 5 kids in the house and visiting every germ filled place there is, I can’t imagine where we would be right now without them. We’ve modified our healthcare insurance to only cover incidents over $500 and have saved thousands in return. 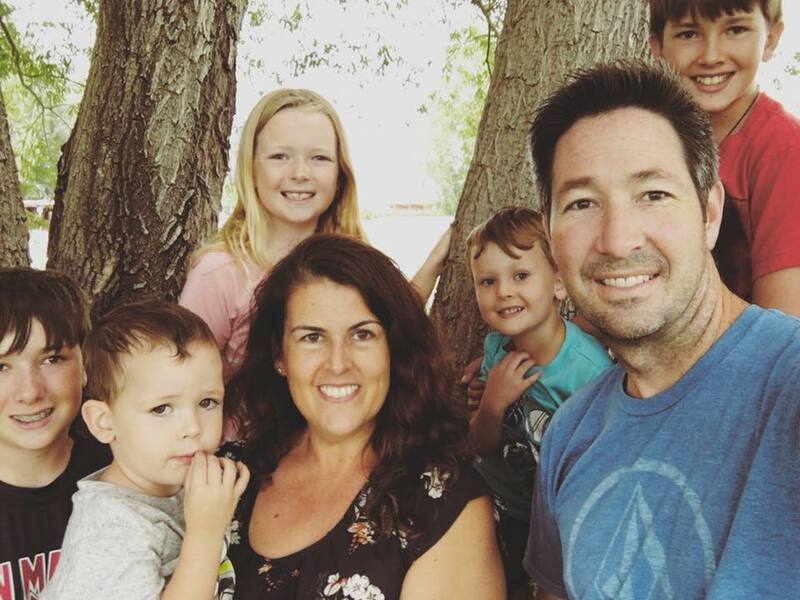 If you can relate and want to make a change for your family, I’d be happy to share with you more, or just grab your kit and we can get started. It's the best deal and where everyone starts. And don't worry I am here every step of the way.